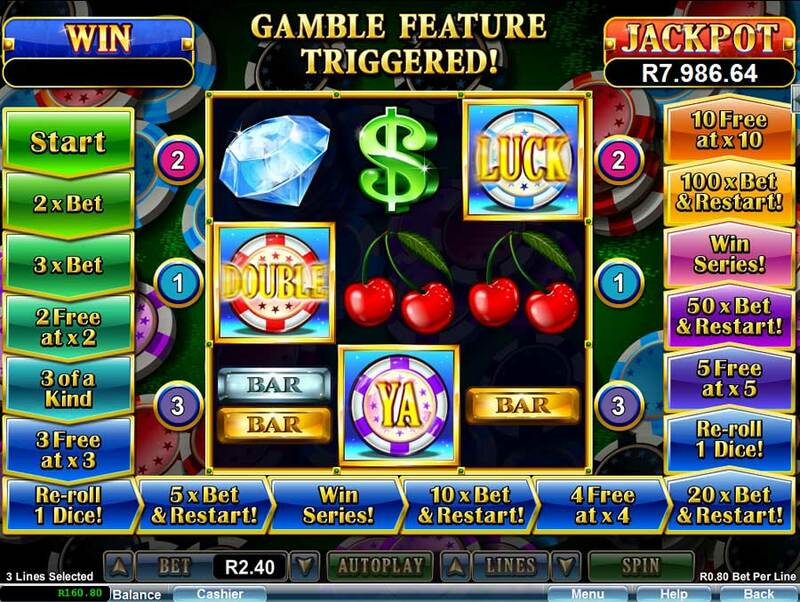 Launched in 2016, Apollo Casino is a real money online casino that is aimed at the South African market. Apollo Slots is licensed by the Kahnawake Gaming Commission and owned and operated by Paxson Marketing Ltd. The casino is themed around Ancient Greece and its mythological characters and has a clean cut feel to it. The games are powered by Real Time Gaming (RTG) software, which is a brand that is famous around the world for its quality online games. 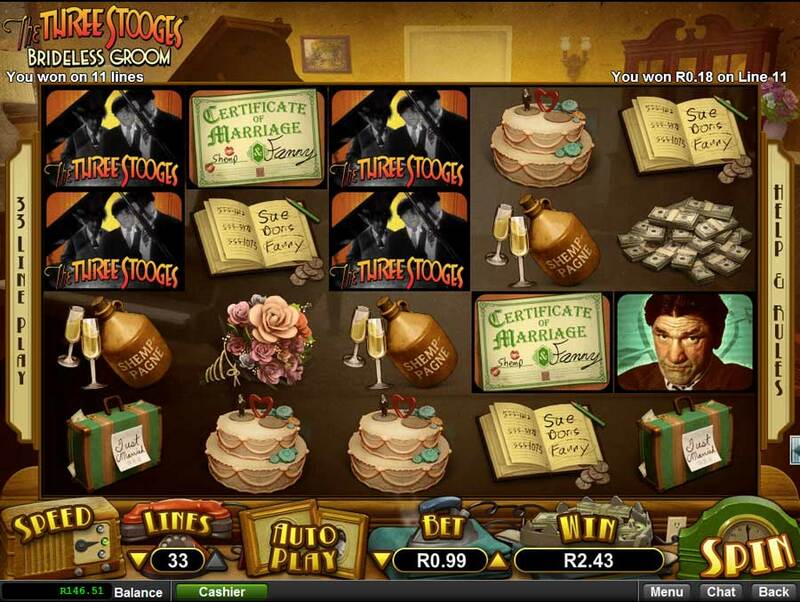 Players can play these games in both free play as well as real money mode with the ability for players to track their game and payment history. To ensure the security of all financial transactions, the casino uses industry standard 128-bit SSL encryption, which prevents unauthorized interception of players' information. Apollo Slots Casino supports play in the download mode and instant play mode as well as a mobile casino if you are looking to play on the move. The mobile site is your standard Real Time Gaming mobile lobby and offers a great deal of the slots and a dozen Video Poker games, but only a small number of table games. Apollo Slots Customer Support Team is available 24/7 via live-chat or email. Besides the welcome bonus and exclusive bonuses offered they also have weekly specials and weekend offers which can be found on their promotions page of their website. Payouts/Withdrawals: 1 – 7 business days. Method dependent. 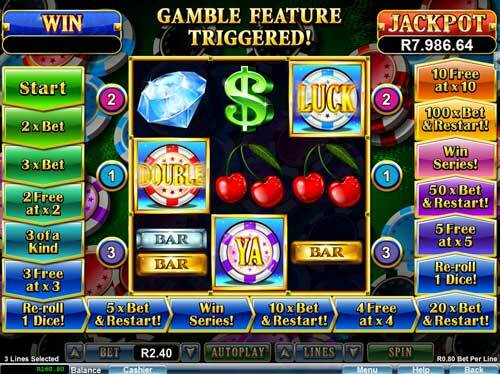 Welcome Bonus: Yes, R9,999 spread out over first 3 deposits. 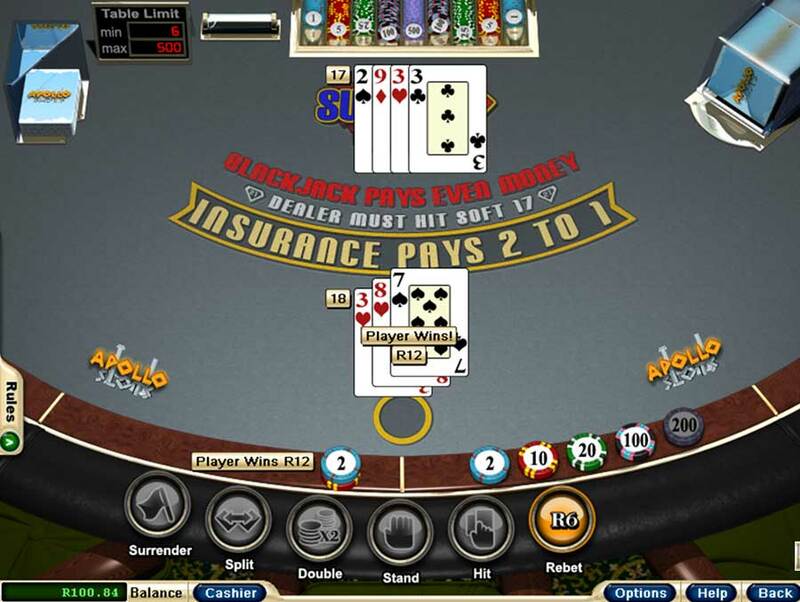 Apollo Slots casino has plenty to offer to its players, from a huge collection of 170+ slots, 18+ table games, a number of video poker varieties and speciality games such as Keno, Bing, Craps, American Roulette and Hot Dice to name a few you will have plenty of variety to keep you entertained for hours. Like always, you can find the biggest variety in the slots menu, which features nearly every RTG slot game, from the Vegas-style 3-, 5- and 6-reel slots including bonus round games and a full list of RTG progressives to be enjoyed, the biggest of them include Spirit of the Inca, Jackpot Pinatas and Megasaur. 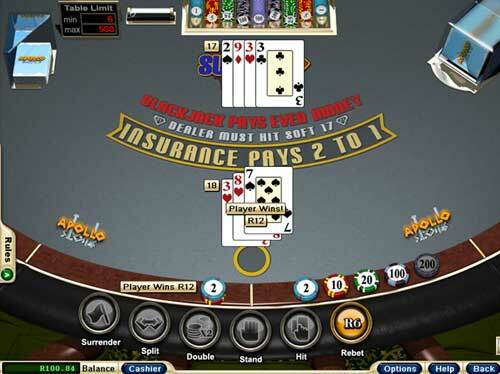 As for the table games, you will find a good selection of all the popular card games like Super 21, Pai Gow, Three Card Poker, Pontoon, European Blackjack and Baccarat, and many other varieties as well American, European and French Roulette. The casino also has a huge variety of Video Poker games in single and mult-hand denomination for those players looking for more excitement and bigger prize pools, along with specialty games like Keno, Bingo, Craps and treasure tree. Apollo Slots has an excellent mobile casino that is compatible with both IOS and Android devices as well as Windows and Blackberry. Simply open the website in your mobile safari browser on your IOS device, or in Google Chrome on any other smart device: www.apolloslots.com and let the fun begin! I had a really great time playing Apollo slots Casino. I managed to extend my free play by winning some cash through the free spin promotion by playing Shangai Nights, which is a super cool slot machine. You should definitely give it a go. I then had a good blackjack session. I haven't played blackjack in a while but sticking to our blackjack strategy and strategy chart I managed to stay well above even. 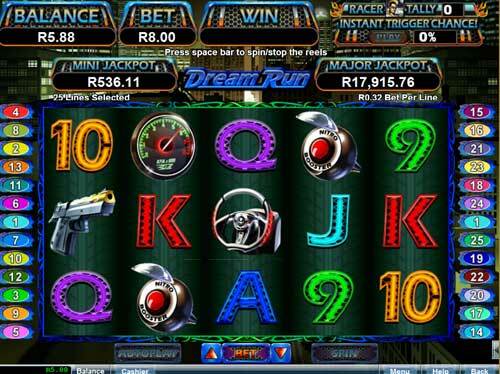 I then moved onto their Dream Run slot machine. It was very difficult to trigger the free spin feature, aren't they always though. However, when I did get the free spin feature I had some nice wins to keep me going for quite some time. Apollo Slots Casino runs very smoothly. No game is the same and you are spoilt for choice. Looking at their welcome offer it is second to none so make sure you get your share of them. 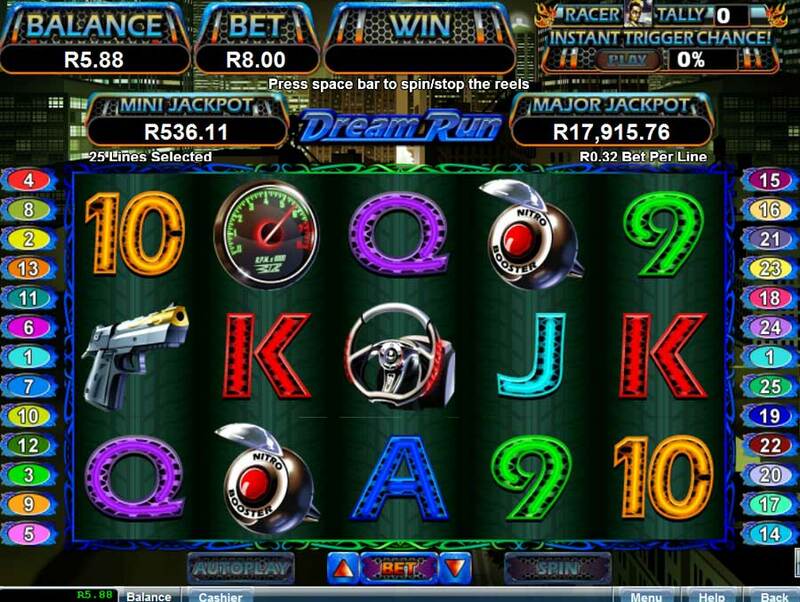 Apollo is one of the select online casinos for the South African market and we are excited to present it to you. 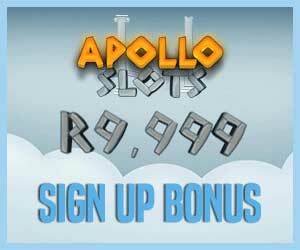 Click here to play at Apollo Slots Casino now.